Cleaning on the go. 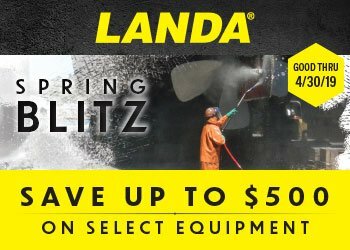 The perfect accompaniment to the Landa HD Gas direct drive pressure washers – the mild steel Landa HD Gas Skid Series offers two configurations: skid with a 50 gallon water tank and one 100′ hose reel OR skid with two 100′ hose reels. The Landa HD Gas Skid Series fit within a standard UTV / ATV bed when ordering the direct drive aluminum pressure washer models. Note: Belt drive models extend beyond the frame and are not recommended. Pressure washer sold separately.